All but the smallest grooves are machined with profiles to accept both standard V-Belts and where the diameters allow Wedge Belts. 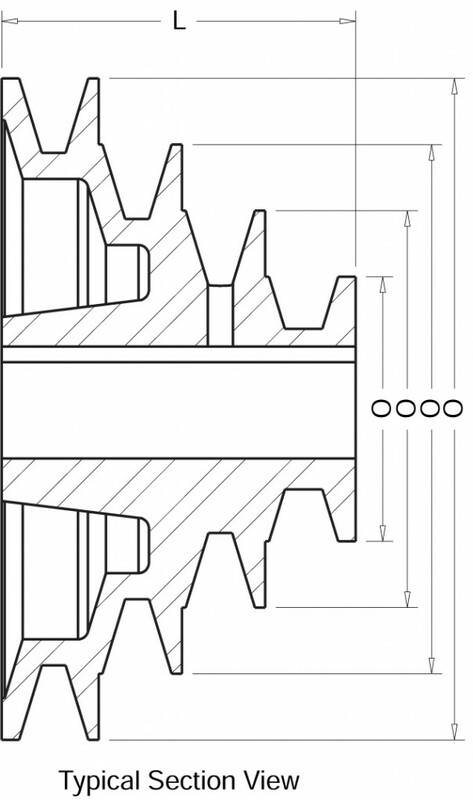 Small diameters have a truncated groove profile and can only be used with classical V-Belts. Diameters marked with a double asterisk** have truncated grooves.